The mission of Urban Teachers is to prepare highly effective teachers who significantly accelerate student achievement in the nation's highest-need schools. Urban Teachers accomplishes this by recruiting outstanding candidate, equipping them with state-of-the-art training, and linking their certification to their demonstration of effective teaching practices and skills. 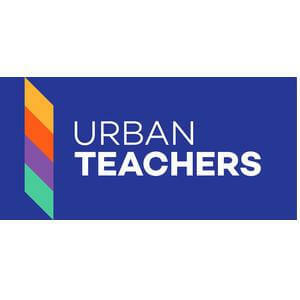 Founded in 2009, Urban Teachers is on the cutting edge of urban school reform by virtue of its link between teacher effectiveness and certification eligibility. Our residents and teachers will provide the necessary proof points to make a national case for educator effectiveness and accountability. •	We provide the best teacher preparation available. During the first year of the four-year program, before you start teaching on your own, you’ll spend 1,500 hours working with students in urban classrooms. •	During this time you also begin graduate coursework for a Master of Science in Education degree from the Johns Hopkins University School of Education—ranked #2 in the country. All coursework is clinically based, allowing for immediate practice of learned skills in the classroom and equipping you with a toolbox of proven strategies for working with all students. •	Our four (4) years of mentoring and support tailored to your needs—from coaches and peers—is available longer than any other preparation program. This includes three (3) full years of one-on-one coaching to ensure you grow into an effective teacher. And, because Urban Teachers prepares you for the job from day one, you'll be able to quickly grow into a teacher leader, providing support and guidance to your colleagues in your school and city. Scott Aguila, Elementary School Teacher at City Springs Elementary in Baltimore, Maryland, tells us why he's an Urban Teacher. Tanika Lynch, Elementary School Teacher at City Springs Elementary in Baltimore, Maryland, tells us why she's an Urban Teacher.